Desc: 14 kt. 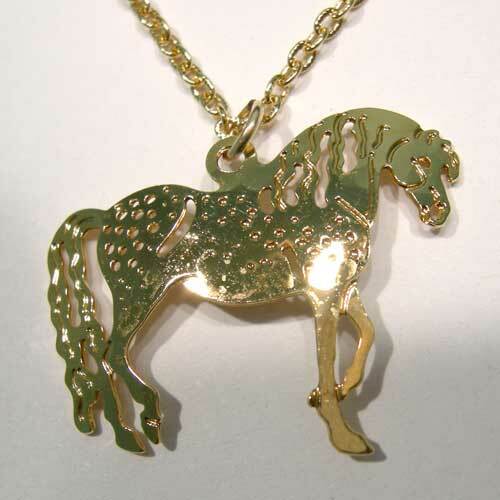 yellow gold plated necklace with a hammered gold finish Welsh Mountain Pony pendant. 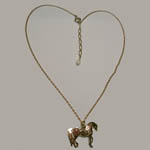 The chain is 16 inches long with an extention chain containing a freshwater peral.